Lexington, Kentucky police react to the shattering and heartfelt loss of the Krispy Kreme Doughnut delivery truck. ❝ Corporal Matthew Stice pointed his Taser at Martini Smith’s bare chest. ❝ “Take the tongue ring out,” Deputy Shawnda Arnold said. Smith continued struggling to unscrew the ring, inserting fingers from both hands into her mouth. No luck. Her fingers were numb, she protested: She had been cuffed for six hours with her hands behind her back. ❝ Reuters identified 104 deaths involving Tasers behind bars, nearly all since 2000 – 10 percent of a larger universe of more than 1,000 fatal law enforcement encounters in which the weapons were used. Some of the in-custody deaths were deemed “multi-factorial,” with no distinct cause, and some were attributed to pre-existing health problems. But the Taser was listed as a cause or contributing factor in more than a quarter of the 84 inmate deaths in which the news agency obtained autopsy findings. RTFA and begin to understand why most poor or non-white or just ordinary workingclass folks consider our police departments to be something other than institutions chartered to “serve and protect”. ❝ Ten years after Mexico declared a war on drugs, the offensive has left some major drug cartels splintered and many old-line kingpins like Joaquin “El Chapo” Guzman in jail, but done little to reduce crime or violence in the nation’s roughest regions. ❝ Some say the war has been a crucial, but flawed, effort. Others argue the offensive begun by then-President Felipe Calderon on Dec. 11, 2006, unleashed an unnecessary tragedy with more than 100,000 people dead and about 30,000 missing – a toll comparable to the Central American civil wars of the 1980s. ❝ Mexico’s armed forces have increasingly been pulled into the conflict because police forces are often corrupt or unreliable. That has had its own toll on the troops, who are frequently ambushed and accused of illegally executing detained cartel suspects in some cases. Defense Secretary Gen. Salvador Cienfuegos noted that the army’s involvement was only supposed to be temporary while policing was reformed. 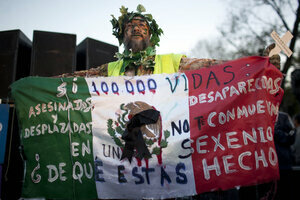 Corruption, large and small, flourishes because it continues as part of the culture of the political rulers of Mexico. Public efforts to clean up even local government generally are little more than window dressing. There are exceptions. They are in spite of the national government – not because of aid from the government. A black therapist in the US state of Florida trying to calm a man with autism in the middle of the street says he was shot by police, even though he had his hands in the air and repeatedly told them that both were unarmed. The moments before the shooting on Monday were recorded on cellphone video, showing Charles Kinsey lying on the ground with his arms raised, talking to his patient and police throughout the standoff with officers, who appeared to have them surrounded. “As long as I’ve got my hands up, they’re not going to shoot me. This is what I’m thinking. They’re not going to shoot me,” he told WSVN-TV later from his hospital bed, where he was recovering from a gunshot wound to his leg. The shooting comes at a time of growing tensions and increased protests against the disproportionate number of African Americans killed by the police. North Miami Police Chief Gary Eugene said on Thursday he had asked Florida state officials to lead the investigation into the shooting. Eugene said officers responded to a 911 emergency call about an armed man threatening suicide, but the chief told reporters no gun was recovered at the scene. Kinsey said he was trying to calm his 23-year-old patient who had run away from the group home where he works. Racism in America may have diminished very slightly over the decades since I was young. Excuses haven’t changed. Copouts – literally copouts – from police departments haven’t changed. It’s still OK for a cop to shoot an unarmed Black man in America. The odds continue to be overwhelming that he will get away with it. So-called journalists, TV talking heads, politicians of every stripe will jostle each other in line to be certain the copper who did the shooting is treated “fairly”. 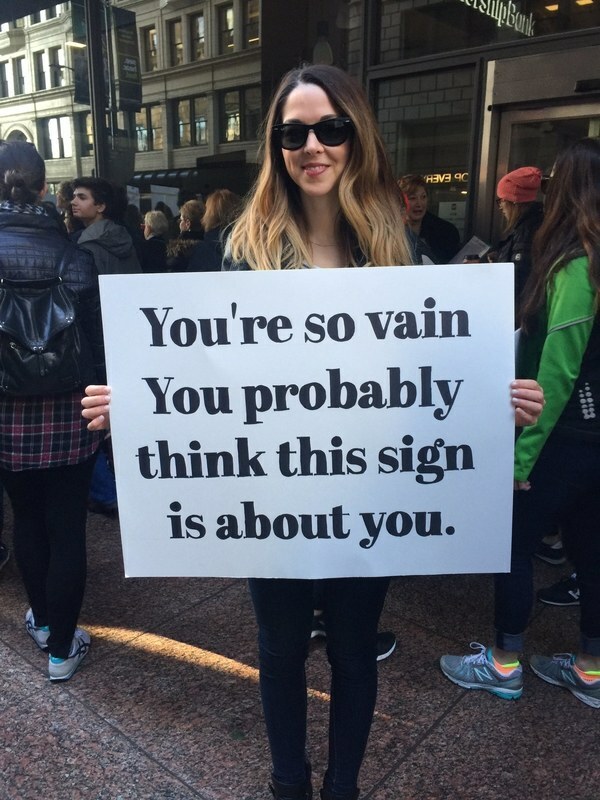 And screw the victim. It will take that minority of Americans who resent our nation’s failure to provide an equal opportunity at staying alive – to gather a movement more concerned with justice than intellectual and ethical cowardice – to protest against our murderous bigotry. 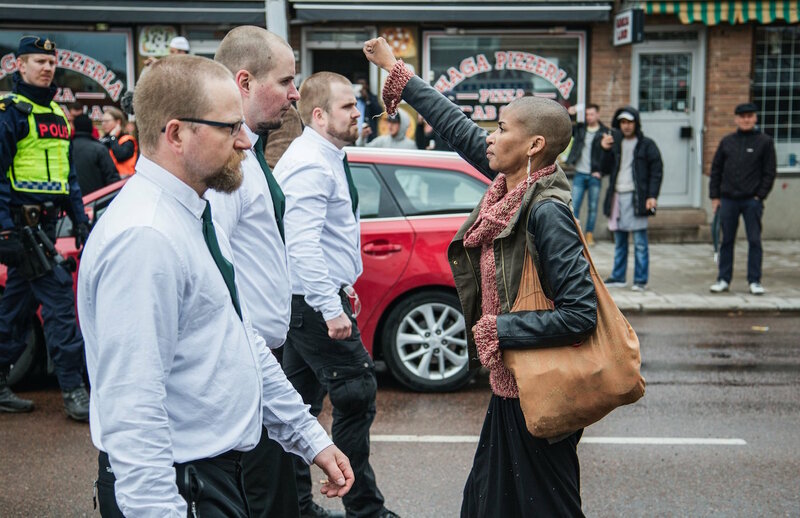 The lone protest of a woman defying a march of 300 uniformed neo-Nazis is set to become an iconic image of resistance to the rise of the far-right in Scandinavia…A photograph of Tess Asplund, 42, with fist raised against the leadership of the Nordic Resistance Movement (NRM) in Borlänge, central Sweden, on Sunday, May Day, has gone viral in the country. It’s not always clear or easy; but, the core existential value I have always tried to live by is that responsibility automatically, indelibly, irrevocably accrues to someone who recognizes a need. Sometimes, you need to stand up and risk everything for justice. Tess Asplund is my kind of hero. 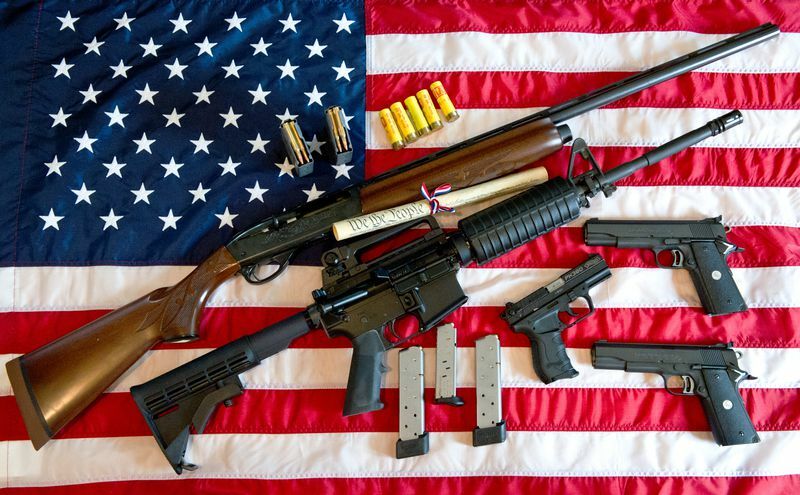 ❝ America is already known for leading the developed world in gun violence. But a new study finds the problem may be even worse than we think. The study, from economists Jillian Carr and Jennifer Doleac, looked at new ShotSpotter data, which uses high-tech audio sensors to report gunshots, in Oakland, California, and Washington, DC. It found that only 12 percent of gunfire incidents resulted in a 911 call to report gunshots, and only 2 to 7 percent of incidents resulted in a reported assault with a dangerous weapon. In other words, shootings are tremendously underreported in the US. ❝ One catch to the research: ShotSpotter is likely picking up some false positives. Past evaluations have suggested the technology has anywhere from 50 to 97 percent accuracy, although Carr and Doleac acknowledge more rigorous research is necessary. But even if the low range is right, there would still be a lot of unreported shootings. ❝ Currently, crime research generally relies on surveys and crime reports from law enforcement. More specifically, the research tends to focus on reports for homicides, since homicide reports tend to have the most accurate data. Researchers use these data sources to try to evaluate the effects of certain policies — if crime reports went down after a policy was implemented, it’s presumed that the policy helped bring crime down (after some statistical checks). ❝ Beyond the implications for policy research…at the very least, we’re not counting a lot of shootings as shootings. Which is exactly the way folks with monomaniacal belief in guns as the righteous solution to everything from elections to divorce – would like things to stay. A woman was pulled over in Roselle, Illinois, this past January for driving under the influence of alcohol. In case the cops didn’t see her swerving, they probably noticed her because there was a full-sized tree stuck in the hood of her car. They released the dash-can video as a public service announcement. ❝Yehuda Shaul was an infantryman in the Israeli army in Hebron during the second intifada. But in recent weeks, he and his group of veterans have been vilified by right-wing organizations and mainstream politicians in a public campaign against Israeli groups critical of their country’s occupation of Palestinian territories. ❝Defense Minister Moshe Ya’alon forbade serving Israeli military personnel from cooperating or meeting with representatives of Shaul’s group, Breaking the Silence (BTS). Education Minister Naftali Bennet issued a similar order to all public schools. And right-wing advocacy group Im Tirzu published a report accusing most Israeli human rights groups of being “foreign agents” because of the funding they receive from friendly states. That report was accompanied by a video and an advertising campaign accusing specific human rights activists of “defending terrorists” and “representing foreign interests.” Those named all received death threats after the ads. ❝BTS follows a long-standing tradition, dating back to the aftermath of Israel’s war of independence and the Palestinian Nakba, of Israeli military personnel publicizing accounts of their actions in uniform that have challenged official narratives. That testimony has always produced backlash, but an across-the-board attempt to silence them would traditionally have been deemed contrary to Israel’s democratic traditions. Those democratic traditions disappeared alongside assumption of apartheid policies, racist and bigoted characterization of any Palestinian resistance to Israel’s colonial policies. RTFA for details of the harassment of dissident Israeli soldiers. This may not be a surprise to some; but, regardless, it’s worth bringing the truth of “democratic” Israel’s undemocratic policies against Israelis as well as Palestinians into the light.